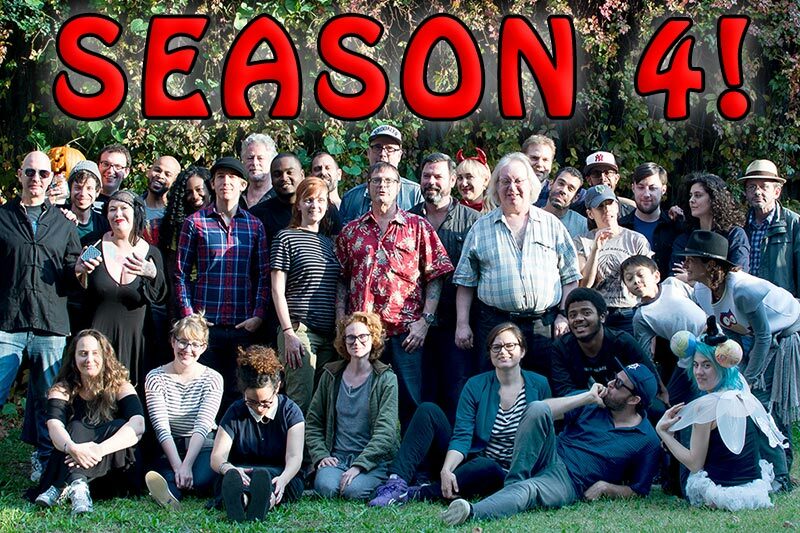 RFB Season 4 Launches Monday, 11/14! Radio Free Brooklyn is thrilled to announce the launch – on Monday November 14th at 12:00 am – of our fourth season of original programming by the artists and residents of the borough of Brooklyn and beyond! Our new season will introduce 25 new programs, bringing us to over 70 shows. Below is just a sampling of our latest original programming, but we invite you to check out all of our new shows by reading their show pages. The Badass Lady-Folk of Brooklyn – In-depth talk with a female movers and shakers who are deeply invested in the community. Nostalgica – Rock en tu Idioma – Rock in Spanish from the 60s, 70s and 80’s. Pull Request – A technology talk show that delves into geeky topics that you’ll never hear on mainstream radio. The Rodent Hour – Interviews and music from local bands that we think you should hear more from. RFB launched 18 months ago, on May 13, 2015, with 17 shows broadcast from a 130 square-foot studio in the basement of a Bushwick bike shop. A year and a half later, we have grown into a community organization of over 100 artists, makers, thinkers, DJs, musicians, and activists that the London Telegraph called “a glowing petri-dish of creativity, variety, and counter-cultural energy,” and whose collective goal is to work with other local musicians and non-profit organizations to provide access to local listeners and provide the cultural glue for a strong, diverse, and active local community. In August of 2016, Radio Free Brooklyn took over the storefront lease from the bike shop when they decided to close up, and in October we partnered with a local entrepreneur to open Second Hand Records in the upstairs storefront. In the coming months, we will begin renovations on the lower level to create a community space which will be used to host performances and workshops. In November, Radio Free Brooklyn was named, for the second year in a row, as a top-five finalist in the Mixcloud Online Radio Awards for the category “Best Online Radio Station in North America.” The top award will be announced in the coming weeks.